Since more over 25 years in this segment, with a turnover of 15 milion euro, SSB counts now 60 employees besides a number of ca. 300 external units. The company operates in two plants and head office at the industrial port of Oristano, where ships loading 4-5000 tons are sent to various destinations, from European and extra-European countries up to South Korea. 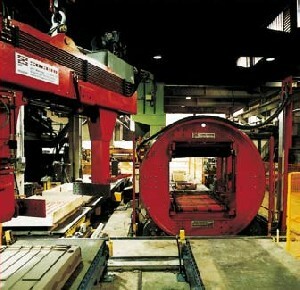 The other plant, where packed product are made, is located in Sulcis, a traditionally mining area. Bentonite, the “par-excellence” cley, is one of the most modern industrial minerals, largely employed in countless applications. Thamks to its mother-house’s background of knowledge and know-how, SSB has managed, in time, to spread its presence world-wide. The company’s quality system has received UNI-EN ISO 9001:2000 and 14001:1996. Thermal regeneration permitting total re-utilisation of all types of sand with organic binders. 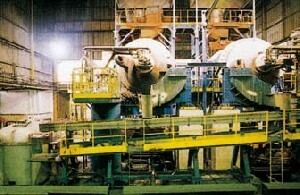 Rotary melting furnaces for cast iron fusion in co-operation with international group Air-Liquide.